Acetyl l-carnitine powder. Provides 500mg of ALCAR per daily dose. Formulated by Sergio Espinar. With Alpha-GPC, Bacopa Monnieri, Choline Bitartrate, and Rhodiola Rosea. It provides 3mg of Chelated Copper per vegetable capsule. It meets the RDA of copper. Suitable for vegan diets. It provides 1500mg of Inositol per daily serving. Caffeine and L-Theanine. It provides 100mg of caffeine and 250mg of L-Theanine per daily dose. Choline bitartrate in vegetable capsules. It provides 1500mg of choline bitartrate per daily dose. Choline Bitartrate powder of the highest quality by HSNraw. 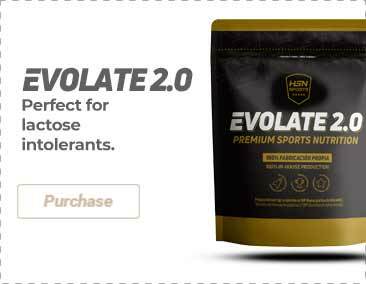 200mg of natural caffeine powder per serving. Vegetable extraction of green coffee beans. It provides 125mg of L-glutamine and 60mg of Ginkgo Biloba extract per vegetable capsule. Choline bitartrate. It provides 250mg of choline and 250mg of inositol per capsule. GMO-free. Helps your nervous system while looking after your cholesterol levels. Relaxation without somnolence and antioxidant. Get your brain in gear with Phosphatidylserine. Fish oil concentrate in softgels. It provides 2000mg of fish oil per daily dose. 100% Taurine in powder format. Provides the organism with an optimal dose of the amino acid Taurine. 5-HTP (5-hydroxytryptophan). It provides 200mg of 5HTP per daily dose. With vitamins. The powder is much more effective than other formats, which is why you have to be extra careful with the dosing. I use it for the pre-workout and to wake myself up in the morning! Great supplement, started to experience its effects from the very first serving. It truly keeps you alert and energised but not excessively. The capsule format is also very handy since you can measure the dose that you need very easily. A necessary product for those who, like me, have a hard time eating veggies and legumes. The powder format is quite useful since you can mix it with anything you want. I felt the boost of energy with the first serving I took. It really helps to keep you energized and focused. Although I believe 1 capsule only is too little for me. I like taking 1 serving with breakfast and another before training and it works for me. I like adding one scoop of product to my pre-workout shake to get a nice boost of energy. It also has a fat-burning effect, even though it isn't as strong as other thermogenic products. The powder dissolves really well too and I love the fact that it's just the pure ingredient. 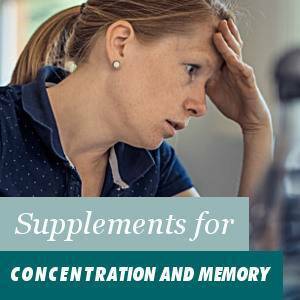 The memory can be stimulated by consuming certain nutrients that activate its functioning, such as the case of nicotinamide adenine dinucleotide (NADH), Omega-3 fatty acids, L-tyrosine, or lecithin. A good memory will provide many advantages in different aspects, in our studies, work, and social life. Omega-3 fatty acids, lecithin, and nicotinamide adenine dinucleotide, play a basic role in the functioning of the brain. The L-tyrosine amino acid, Rhodiola rosea, Baco monnieri and group B vitamins improve mental focus and performance. Memory is commonly described as the capacity to remember things. However, from the point of view of medicine and psychology, memory has different cognitive functions in the mind. Memory is not only involved in the learning performance, it also is very important for the ability to concentrate, understand abstract concepts and apply acquired knowledge. Memories also intervene in the functioning of the imagination, the planning, and the retrospective reviewing of our acts. All of this involves complex brain processes. All in all, memory intervenes in the course of mental development in general. What can we do when our memory starts to fail? We are all familiar with certain situations in which we stop remembering important things: we forget our secret credit card code, we forget to buy basic products, we forget the names of work colleagues, etc. This type of memory failure in which we forget certain details are not necessarily worrying. However, if they happen very frequently, they can affect our daily activities or the life quality. Apart from the fact that it is frustrating to forget details that may be basic to interact or behave normally, we are not always capable of improvising when we forget information. When this memory loss happens frequently, the uncertainty may be overwhelming and we can end up losing confidence in our own abilities, that we need for our professional and private life. When we notice that our memory is starting to deteriorate, it is the moment to act. The first step that we should take is asking our doctor to diagnose and determine whether the memory loss is due to a health problem, derived from organic causes. This symptomatology tends to be common in cases of dementia and Alzheimer’s disease. According to the current scientific research on these illnesses, to this day, memory loss derived from these pathologies can not be cured. In these cases the brain deteriorates progressively, first our short-term memories are destroyed and when the illness is in an advanced state, it will attack the long-term memories, although this process is a lot slower. However, not all those who experience a memory deterioration suffer from these serious diseases, since it is much more frequent, that in certain cases, a sporadic loss of memories or information has taken place. The memory loss can be due to objective causes, such as an excess of intellectual work. When we force our mind, making it retain a lot of information and be constantly alert, the anxiety that this produces can result in memory loss, as a way of overcoming this anxiety. It is a protection mechanism of the mind when facing an excess of information or details. A great intellectual stress can reduce the memory’s performance and the results can be serious at a personal level, since it may affect many aspects of our life, from the possibilities of finding a job to losing social contacts. When an employee is carrying out a task, automatically, in a production chain for eight hours, they may suffer from a loss of memory performance, since the basic functions of the mind are not being performed, like the use of analytical thinking and abstraction. With a good training we can increase our memory gradually. In psychology, there are several methods to train the short term memory. 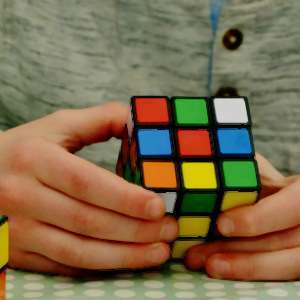 A stimulating psychological game is “Brain Training”, that stimulates memory in an entertaining way with exercises that cover different cognitive aspects. A memory that functions properly has to work different areas, therefore it is very important to reach a balance and to stimulate the mind in different ways. Those people that are used to resolving theoretical problems at work, that require an abstract and analytic thinking ability, need to intellectually relax during their free time, and opt for activities that need a different cognitive involvement. In these cases the most suitable activities involve sports, like dancing, martial arts or team sports, that need complex motor functions, and at the same time compensate the lack of physical activity at work. Many daily activities can help to stimulate the performance and a healthy memory, like in the case of learning a foreign language, learning how to play a musical instrument, carrying out manual work, or playing strategy computer games. Each of these activities stimulate different areas of our mind. The advantage of these exercises, in contrast to a memory increase developed in clinical studies, lies in the personal and cultural involvement, the social interaction and its fun and entertaining nature. In these cases, the memory is positively stimulated, which is an added value to increase performance, at the same time as improving our life quality. The mind needs a lot of energy to function efficiently. We can provide this energy through our daily diet by eating food that has certain fats and amino acids. The natural sources that supply this energy through food are Omega 3 fatty acids, NADH, which is also known as coenzyme 1, lecithin, L-tyrosine, and L-theanine. All these elements are important for the functioning of the brain. However, it is not always possible to include the required amounts of all these vital substances through the diet. Therefore, to compensate for a possible deficiency it is very practical to consume the corresponding nutritional supplements, with which we will guarantee that our brain will receive all the nutrients it needs for a proper functioning of the brain. Omega-3 fatty acids have been studied in depth in more than 6000 scientific studies that demonstrate its incredible benefits for health. Omega-3 fatty acids are among the essential fatty acids for the human organism. They are essential for the cell membranes and have a positive effect on blood circulation, viscosity, and blood lipid levels. 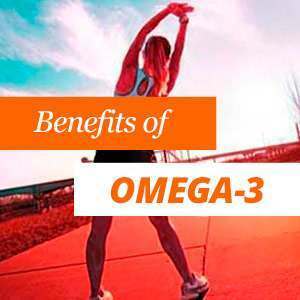 A deficiency of Omega-3 fatty acids can have negative consequences for the skin, muscles and bones, and can also cause cardiovascular disease and arteriosclerosis. L-tyrosine plays a crucial role in the production of the amino acids that maintain the functioning of the brain. 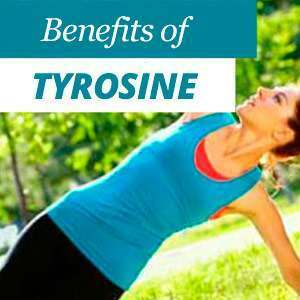 Therefore, L-tyrosine has a basic impact on mental energy and performance. It is one of the 20 amino acids that form proteins. Tyrosine is classified as a non-essential amino acid since the body can produce it on its own. It must be combined with phenylalanine for this purpose. Consuming L-Tyrosine helps to improve physical and mental performance increases attention, concentration and motivation in a natural way.